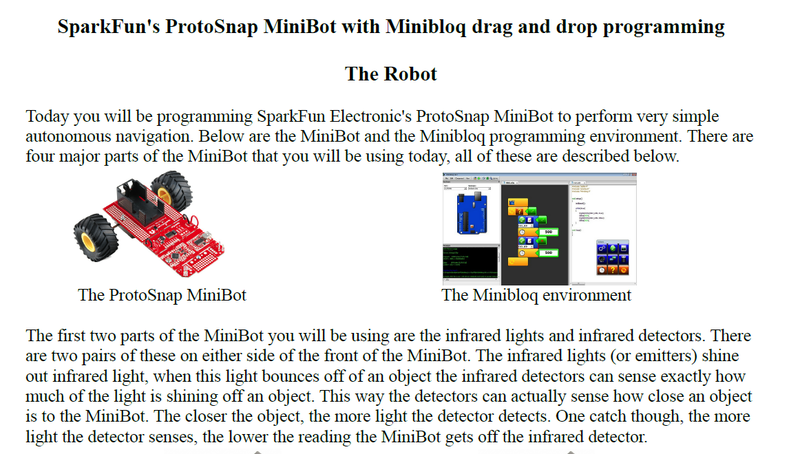 We are glad that there is a new tutorial with Minibloq, made by Sparkfun Electronics, the: SparkFun Electronic's ProtoSnap MiniBot tutorial (English, ZIP file). 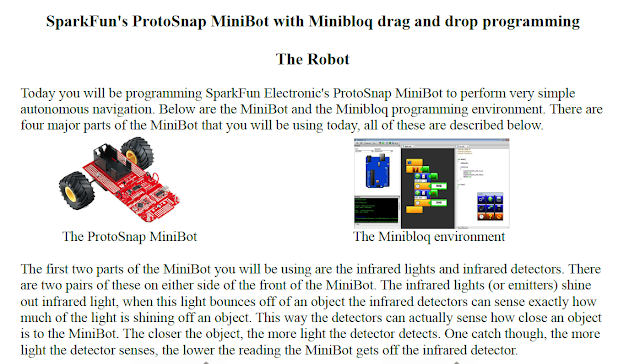 The previous link contains both PDF and ODT (LibreOffice) files with a tutorial made by Sparkfun Electronics, to use Minibloq with their ProtoSnap MiniBot. 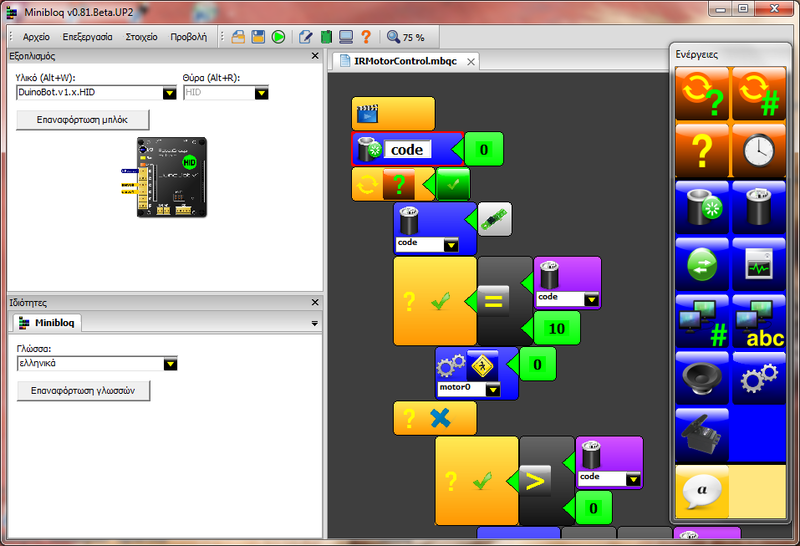 So we want again to say: thanks Robert and thanks kids for your work! 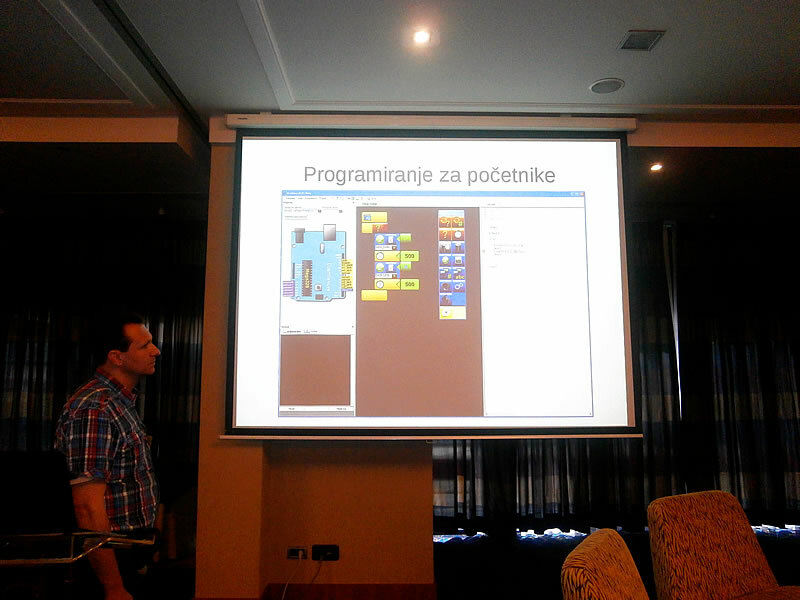 Collaboration with the Sparki project! Hi! We were talking with Joe, to add support to his Sparki open source robot in Minibloq. 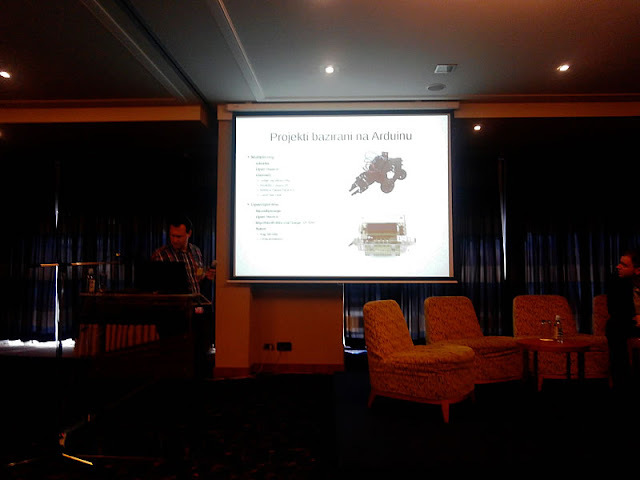 Sparki is an interesting eduational robot, with a lot of sensors and other really nice features (such as steppers-based traction and a small gripper). You can found it at Kickstarter in this link.